The microwave mashed cauliflower recipe is part of a sponsored post for Raley's. The thoughts and opinions are my own. Even on nights when I don't have a lot of time to cook, I want to feed my family a nutritious meal made with wholesome ingredients. When I want to cut corners without compromising on quality, I turn to trimmed cuts of meat and precut vegetables to save time on meal prep. Raley's has just made things even easier with their new, flexible meal kits. At my local Raley's, they have created a meal kit display near the rotisserie chickens. 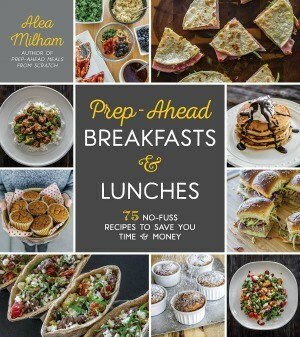 It includes complete meal kit recipes, rotisserie chicken “quick kits,” and “build your own kits” from customizable meal components. The complete meal kits are just that and include everything you need to make dinner like the protein, the sides, and the spices. Basically, they are a meal kit without the hassle of a subscription plan. You can pick them up when you need a break without having to worry about a pre-planned delivery schedule. So when my husband was out of town last week, I picked up several meal kits at my local Raley's. I was impressed not only with the quality of the meals, but with the simple techniques used to create the flavorful dishes. 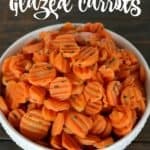 I am going to share a couple of the techniques from the Sirloin Beef Meal Kit as well as the recipe for the microwavable herbed goat cheese mashed cauliflower, which is included in the kit, so you can see how simple these meals are to make. You don't need any special equipment, and the kit directions include pictures. Gourmet cooking does not need to be complex! The steak is served with a green peppercorn sauce, which tastes amazing. All of the ingredients are already in the kit, including the green peppercorns. But instead of just telling you to crush the peppercorns and leaving you to figure out how to do that, they have a picture of the peppercorns on a cutting board and tell you to crush the peppercorns with the bottom of a pan. This is an easy solution for those who don't have a mortar and pestle. Deglazing the pan is the secret behind amazing sauces and gravies. The sirloin steaks are seared in a skillet, which is a fast way to cook the steaks, but it also leaves browned bits and caramelized drippings from the meat in the pan. 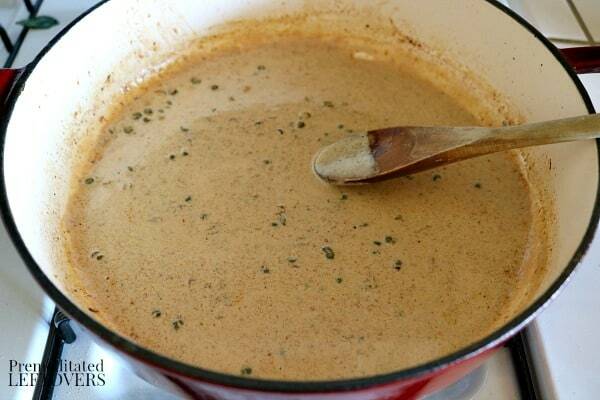 Those browned bits, or the fond as chef call it, serve as the base for the green peppercorn sauce. 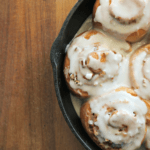 How do you deglaze a pan? You add the crushed peppercorns, red wine vinegar, beef base, and water to the pan. 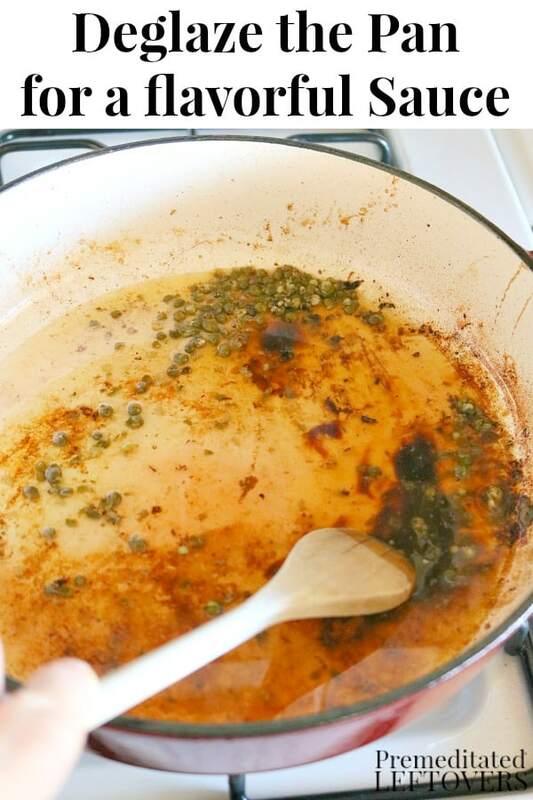 Then you use a spoon to scrape those bits off the bottom of the pan while stirring the sauce. It is a basic technique and easy to do, but it yields a flavorful sauce that makes your dinner taste like it was cooked by a professional chef. 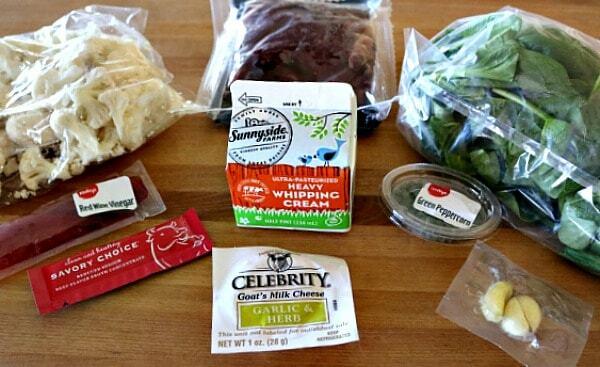 The sirloin beef meal kit includes 2 sides: herbed goat cheese mashed cauliflower and wilted baby spinach with garlic. Both of these dishes only require a few ingredients and a short time to make. Below you will find directions for how to make mashed cauliflower in the microwave. 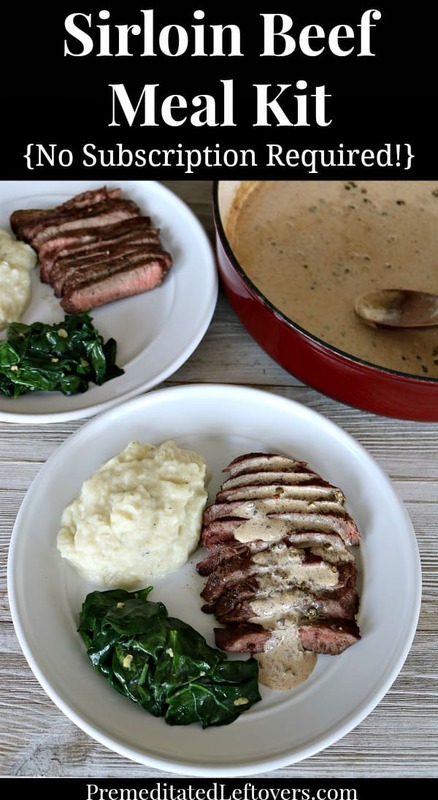 This recipe is from Raley’s Sirloin Beef Meal Kit, and all of the necessary ingredients are included in the kit. 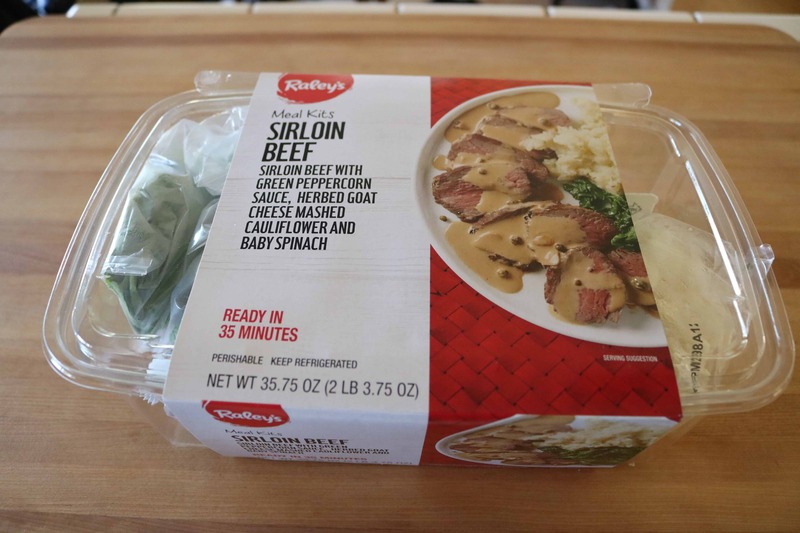 When you make the full Sirloin Beef Meal Kit, the directions for the mashed cauliflower are intertwined with the directions for the steaks and spinach so that all three dishes are complete at the same time. 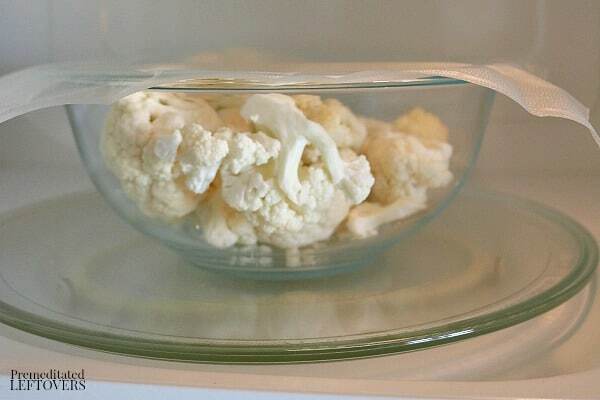 Place the cauliflower in a microwave-safe bowl, cover with plastic wrap, and microwave on high for 5 minutes. 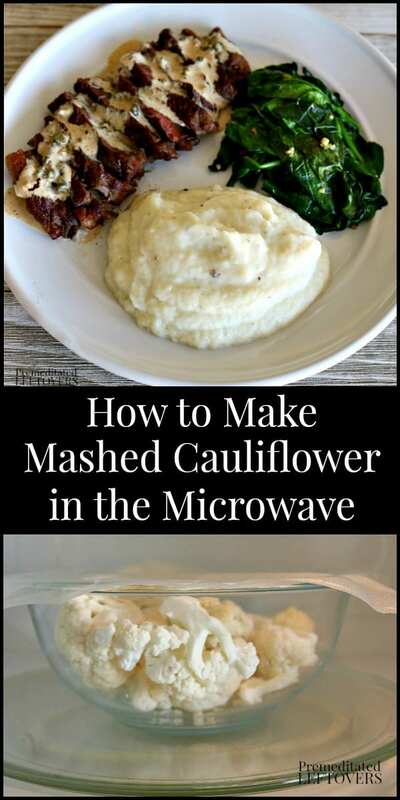 (Leave the cauliflower in the microwave until you are ready to mash it). Remove the cauliflower from the microwave and add the herbed goat cheese; season with salt and pepper, and mash it with a fork. Add 2 tablespoons of cream and stir. I bought another Sirloin Beef Meal Kit this week and made it for my husband and sons one night when I was going to be out. When I came home I asked my husband if he liked the mashed cauliflower and he said, “That was cauliflower?” He did not realize that he was eating cauliflower; he seriously thought he was eating mashed potatoes! 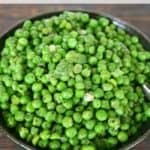 On the website, it states that the meal kits serve 2 people, but these would be large restaurant type servings. I found that they served 3 people in my family, making it a good solution when one of us is away from home at dinner time. However, we usually only consume 3 – 4 ounces of meat in one meal. 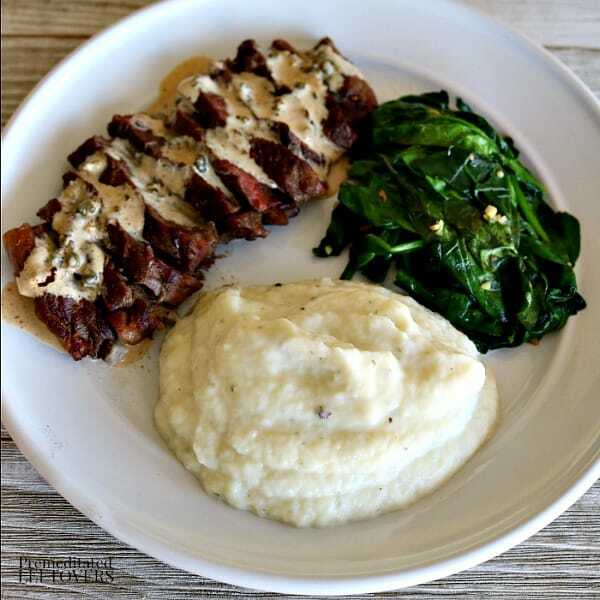 I shared the tips and a recipe from the Sirloin Beef Meal Kit above, which includes Steak with Peppercorn Sauce, mashed cauliflower with herbed goat cheese, and baby spinach. This was a hit with the whole family. I have also made the Chicken Tarragon Meal Kit, which includes roasted fingerling potatoes and lemon parmesan broccoli. I like how this was almost a sheet pan meal as the potatoes and broccoli were cooked on the same cookie sheet. It was a quick and easy dinner with a bright, lemon flavor. I cooked the Salmon with Cilantro Yogurt Sauce Kit with Berbera spiced sweet potatoes, chickpeas, and kale on a night when I thought my youngest son would not be eating with us because I didn't think he would like it. However, he walked in when I was cooking it and asked if he could have some. I served him some of each of the dishes, and he ate every bite, which is a great reminder that seasoning can transform something that kids don't like into something they love. In this case, the Berbera spice was magic! 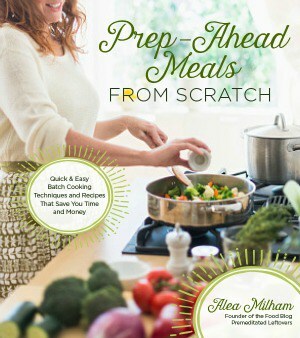 You can see all of the meal kits here. Raley's Quick Kits, such as Mole Enchiladas, come with everything you need to create a recipe except the protein. You just need to pick up a rotisserie chicken and use some of the meat to quickly complete the recipe. The quick kits are a convenient way to use rotisserie chicken for multiple meals. Save time while customizing your dinner with Raley's meal components. In the meal kit display, you will find 9 sauces, 8 precooked whole grains and starches, 8 prepped vegetables, and freshly trimmed cuts of meat. You can mix and match the components to build your own meal kit. You can see all of the quick kits and meal components here. Where do you find Raley's Meal Kits? 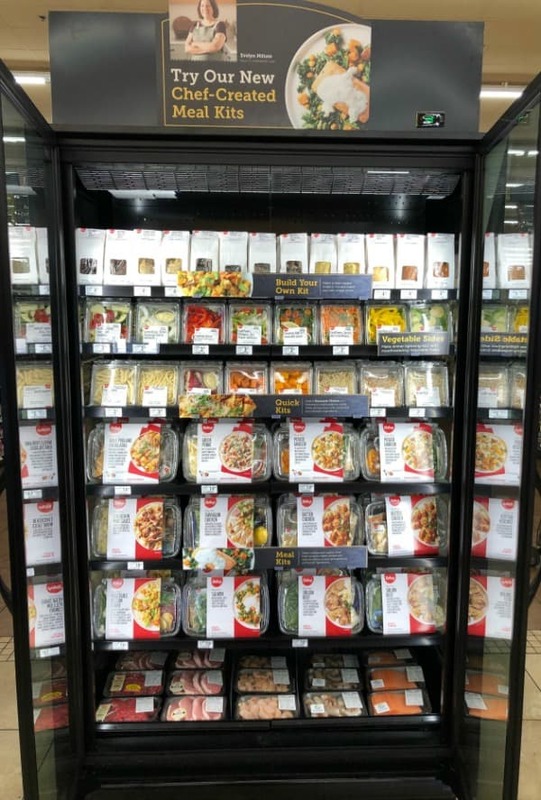 In most Raley’s locations, the meal kits can be found near the rotisserie chickens in the Fresh Deli section or at the front of the store. If you would rather spend your limited time doing something other than going grocery shopping, you can shop online, add the meal kits to your cart, and pick up the groceries or have them delivered directly to your home. While I do my shopping at Raley’s here in Reno, you can also find the meal kits, quick kits, steamable sides, and customizable meal components at Bel Air and Nob Hill Foods. You can use the store locator to find a store near you. 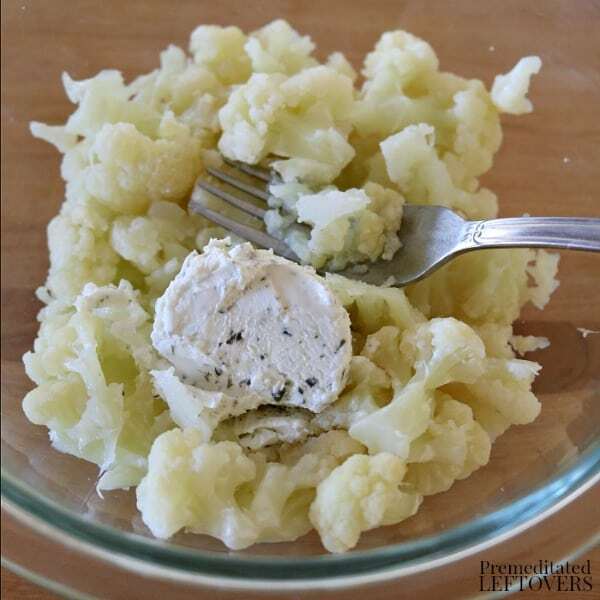 This microwave mashed cauliflower recipe is a delicious and low-carb alternative to traditional mashed potatoes. Remove the cauliflower from the microwave and add the herbed goat cheese; season with salt and pepper to taste, and mash it with a fork. Have you tried any of the Raley's meal kits? I am totally making this mashed cauliflower this weekend. It will go perfectly with my meal. I regularly shop at Raley’s, but have not seen the meal kits. I will be sure to keep an eye out next time I am in the store. This would make a great date night dinner! That looks really good. I think replacing potatoes with cauliflower like tthis is a great idea. This mashed cauliflower looks amazing! I love cauliflower and think this would be great for a low carb Thanksgiving. That cauliflower mash is a great idea and seems better than potatoes. Raley’s does seem like the place to get those ready to make meals for the family. I’m really liking the sound of some of those meal kits. The mashed cauliflower sounds really tasty too and I’m glad it’s simple to make! That is a delicious looking meal! I love Raleys and their produce is always so fresh. I’ve been wanting to try more recipes with cauliflower and this looks like a good one. Oh wow! This looks delicious! I will have to find these! I just tried mashed cauliflower tonight. I bet the goat cheese would make it better. That mashed cauliflower looks SO good!! I’ve never had mashed cauliflower before but you totally inspired me to try it! This whole dinner looks amazing! Whoa! This is awesome! We don’t have a Raley’s but I’m going to see if our grocery store has something similar. Love that everything is ready for you. I just happened to pick up this meal kit last week – and I have to say – it was the MOST flavorful amazing meal kit I’ve ever tried. WAY better than many times more expensive Blue Apron! I would’ve never cooked any of these things on my own either. It all came together remarkable well and for certain, we will be getting this one (and others) again.